Exercise and physical activity are essential for good health and development. Even toddlers and preschoolers can benefit from getting active! Physical Activity – Find out how parents and teachers can promote physical activity in schools. Physical Activities for Early Years ? 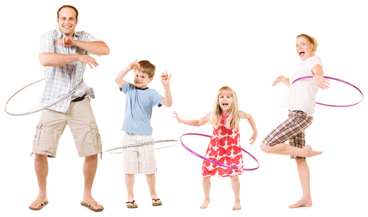 How to make physical activity a part of your child's everyday life. Winter Wonderland – Manitoba is known for its long winters, so get the family into warm clothing and out of the house to experience all that is a Manitoba winter!